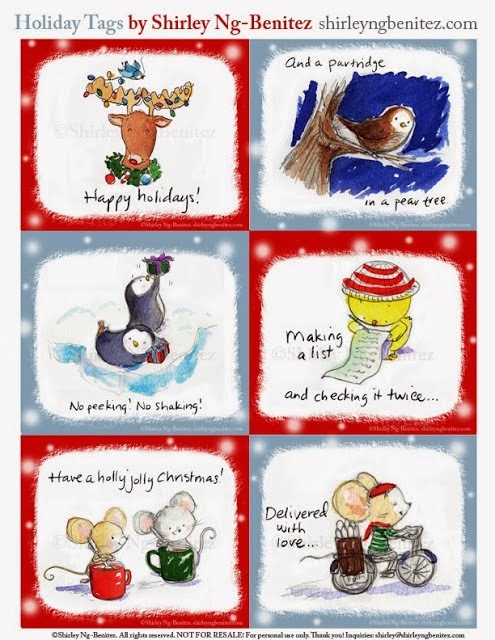 Some of my favorite Christmas printables come from the talented artists of We Love To Illustrate for Children each year. This year is no exception. 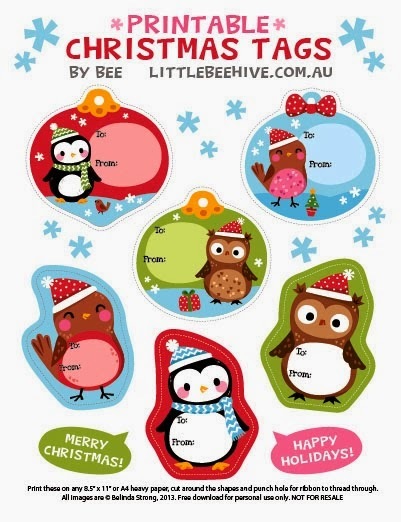 They have 5 adorable sets of printable Christmas tags for you to use when wrapping up your holiday gifts. 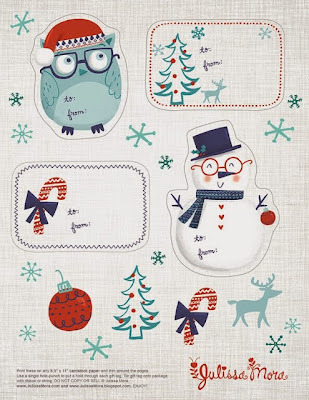 Nina Seven created the fun, traditional Christmas tag set above. I think that is the set that will coordinate the best with my current wrapping paper stash! 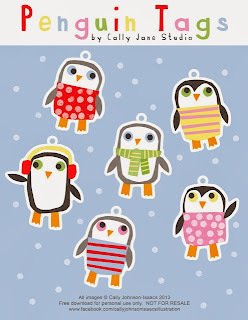 Julissa Mora created this fun set of Christmas tags that would be perfect for Ms. Ruby. I love to find her cute pictures and books that feature glasses. I like to make it seem special that she is the only bespectacled family member. 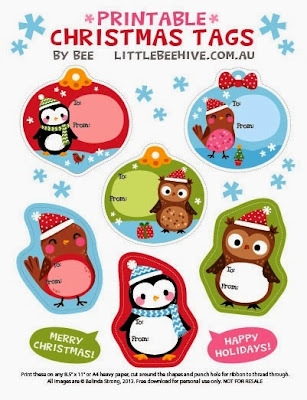 My oldest daughter loves cute little animal illustrations, especially owls, so these printable tags from Belinda Strong would be right up her alley. The fun colors are her favorite too! I am a huge fan of Shirley Ng-Benitez's illustrations. These sweet holiday tags that she has created look like pages from a wonderful Christmas story. 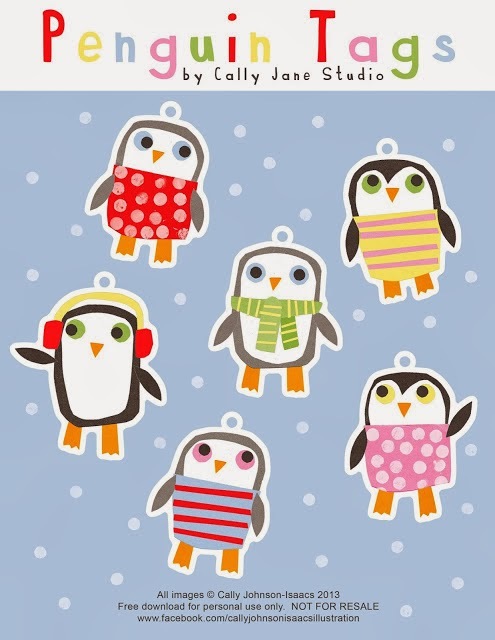 Cally Johnson-Isaacs created these adorable penguin tags. Olivia would love these too, especially with all of the fun and colorful clothing options! 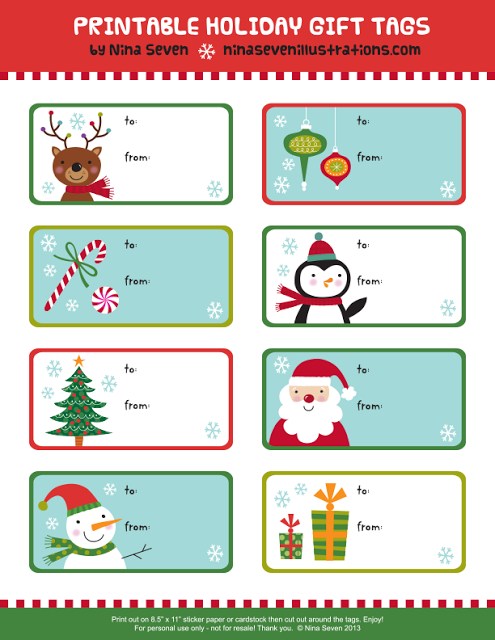 No matter which is your favorite, you can grab the download of these free Christmas Tag Printables over at We Love To Illustrate for Children. Thank you so much for sharing! Happy new year to you!